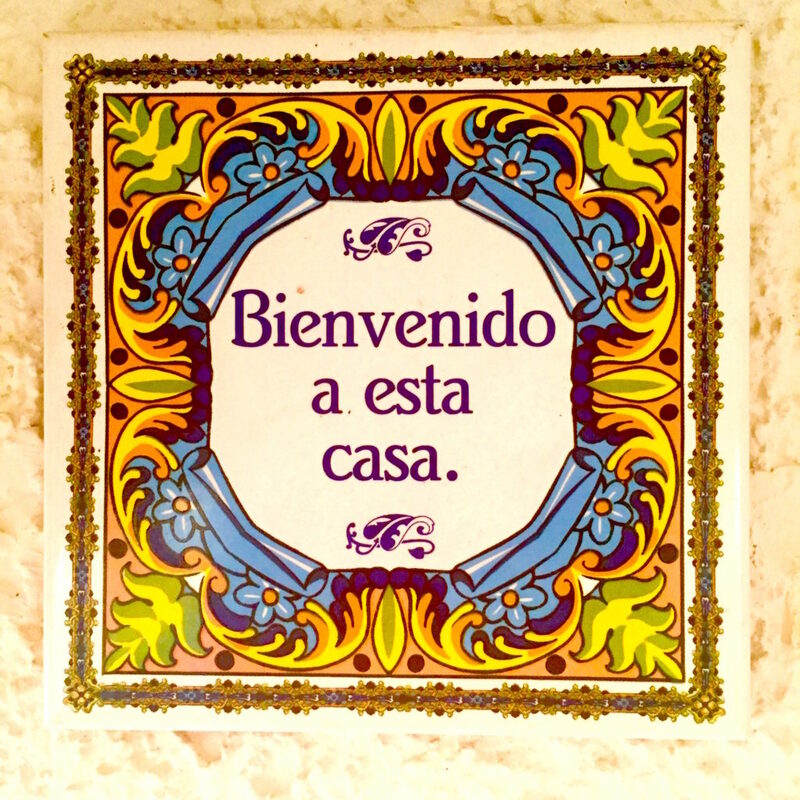 Chicas, I’m sure you’ve heard the expression, “Home is where the heart is.” And, while sharing a home with loved ones is a beautiful thing, creating a home environment that you love is also a thing of beauty. 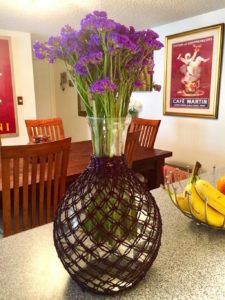 So, I wanted to pass along some home décor tips to you! As much as I treasure my alone time, I also cherish having my chicas over for some good old-fashioned charlas. Time for some gossip and giggles! Out come the wine glasses as the chistes flow and we catch up on life. 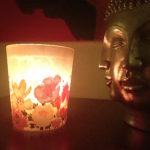 Consejito: Use a scented candle, incense or an essential oil diffuser about an hour before folks arrive to fill the air with an aromatic ambiance. (I love the smell of orange blossom!) Also, a light linen spray on bathroom curtains, bed duvet cover and a fabric couch adds a nice whiff of aromatherapy. Growing up, my mom was a seamstress at a factory in NYC and had quite the flair for home décor. She sewed living room curtains, dining room table covers, and the prettiest woven bedspread (with sweet little roses!) for my bed. 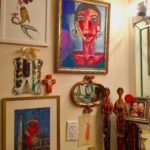 Our family was surrounded with her creations, and it made our home heaven. To this day, I carry her energy with me in many ways. Take my home, for example. 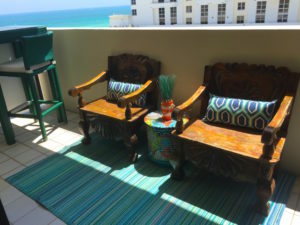 Although I can’t sew, I’ve created my ultimate sanctuary – a comfortable place for pampering, rest and relaxation that’s also filled with creativity, memories and much more. The best part is that finding this balance is easy peasy! Consejito: Go green! Plants and fresh flowers breathe life into any room. I have them in every room of my apartment. Take bathrooms: tiles, toilet, tub. Pretty boring start, right? 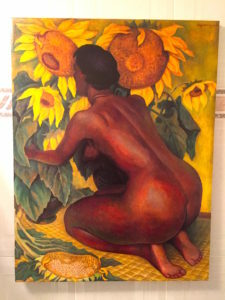 Beyond the shower curtain, floor rug and towels – you can really spruce up a bathroom with a stunning piece of art (My Diego Rivera “Sunflowers” makes my heart sing!) 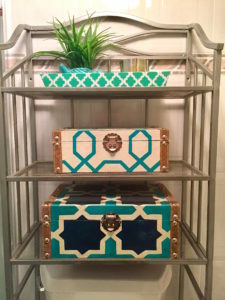 and place eye-catching boxes in an over-the-toilet storage cabinet. Ojo, I hide “personals” in those boxes to keep them out of sight. You’ll want to use adhesive mounting strips to hang art on tiled walls, and keep your art protected (i.e. 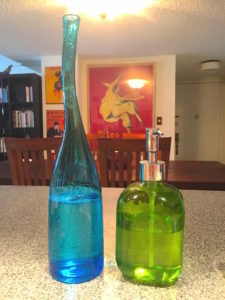 varnish coating or glass) from harmful shower steam. Speaking of art, refresh your home with some! And, grouping it together doesn’t have to be a challenge. In fact, there are no rules. 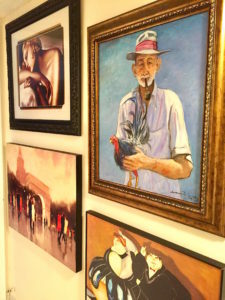 Go ahead and mix black-and-white with color prints, oil and watercolor paintings, sketchings and photographs in a variety of frames. Have fun with it, handpick art that speaks to you, and display away! You might want to use a level (or a level app on your smartphone) to hang them perfectly straight. And then, take a step back and enjoy! 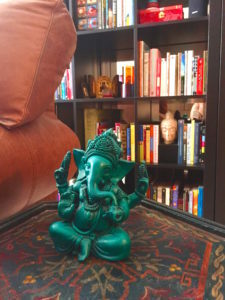 Make your space your sacred spot – literally! 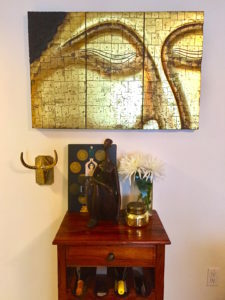 Displaying Buddha art, Hamsa Hands, Mal de Ojo amulets, Ganesha sculptures, hand-painted crosses, African fertility dolls, Día de Muertos skulls, and clear quartz crystals help create a spiritual surrounding, change the room’s vibrations, and blesses the casita. Bring the outside world into your private world with these conversation starters! Consejito: Serve that delicious meal you’ve whipped up on magnificent plates, and pair with beautiful cloth or linen napkins and one-of-a-kind glassware. As an avid reader, I’m a huge fan of books and own over 300 soft and hard covers. Yes, I’m old school and just love turning those pages! So, imagine my pride in displaying my beloved books, all these glorious written works that I adore. (I am also a fan of Latino writers, but I’ll save that for another post to come.) A bookshelf elevates a room, and mine is the soul of my home. 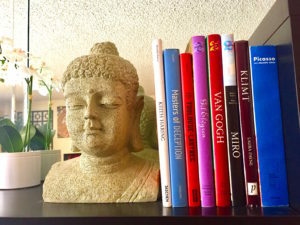 But, think “outside the box” by blending books with offbeat decorative figurines and adornments. Speaking of books, I collect cooking books too. 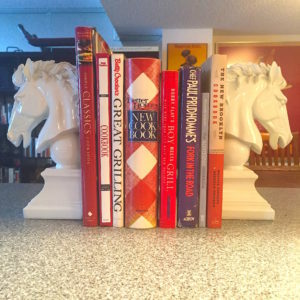 You can doll up the kitchen counter with striking bookends, and keep your cooking books easily within arm’s reach. Now, let’s chat about the room where you come together to kick it AKA the living room. It only takes a few carefully curated pieces to make this social hotspot more inviting! Start with the right lighting options, whether a retro floor lamp or sparkling chandelier, to help set the mood. (A dimmer works wonders, by the way!) Place an eye-popping rug under the coffee table. Wheel a bar cart to a corner, and furnish it with nice looking barware and cocktail glasses. Create contrast with mix-and-match match pillows. Cozy up an armchair (which can anchor the room, FYI) with an ultra lux throw. Add accents to the coffee and side tables, such as unique coasters, travel books, wooden bowls, handmade baskets, and a stylish tray. Your guests will never want to leave! Just a few more tips, I promise! Upgrade a lackluster bedroom to an oasis with an oversized wall tapestry, overflowing bed canopy, distinctive headboard or an attractive storage ottoman that doubles as seating. Hang a strategically placed mirror in a dark entryway to brighten it up with natural light. Pick paint colors that will make your wall pop. 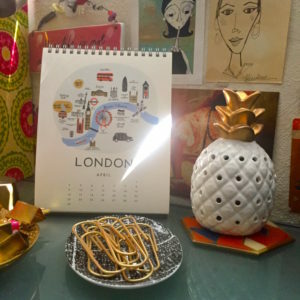 Decorate your home office with lovely little things that make you happy while you work. 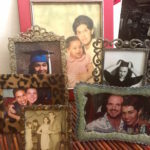 Sprinkle photos of family, friends and your travels throughout your home. See, you can create a home that feels like you and celebrates your uniqueness. Chicas, how do you decorate your space? ¡Cuéntame! I’d love to hear your ideas, so please share!